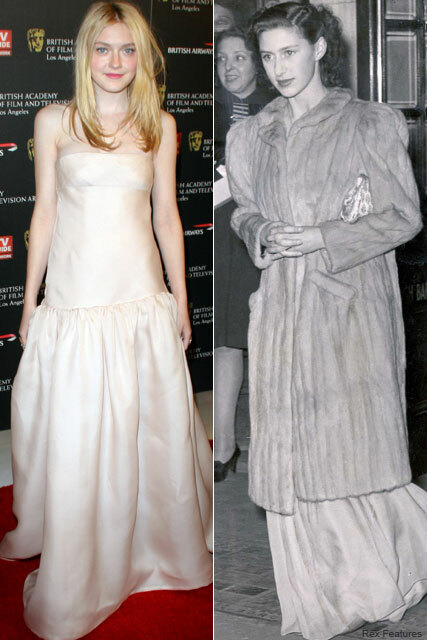 Twilight star Dakota Fanning is set to play a young Princess Margaret in hotly tipped historical flick Girls Night Out, according to reports. SEE DAKOTA FANNING IN TWILIGHT HERE! Fresh from her role with Kristen Stewart in The Runaways, the 16-year-old star – who’s currently on location, filming the final two Twilight films – has landed the first part in the new flick. Inspired by real events, it’s thought the movie will tell the story of Princess Margaret and her older sister, Elizabeth, who are allowed out of Buckingham Palace for one night, to join the celebrations which marked the end of the Second World War. Hot on the heels Colin Firth’s award winning historical hit, The King’s Speech, it’s thought Girls Night Out will be overseen by Last Station director Michael Hoffman. Bosses are remaining tight-lipped on who will play the Queen, but rumours suggest an announcement is expected shortly. What are your thoughts on Dakota’s historical new role? Let us know in the comments box below. SEE DAKOTA IN TWILIGHT HERE!